Now before we go much further, let's review the IP address just a bit. You don't have to have a driver's license with you to drive a car—a policeman would disagree—but that's a fact. However, if you want to go on the Internet, you definitely do need an IP address...every time...no matter where you are or who you are. Everyone who is using a computer on the Internet right now needs their own IP address, whether they're at home, work or using free Wi-Fi somewhere. Every non-computer device—smartphone, printer, home security system, etc.—that is connected to a network and the Internet also needs an IP address. And that number is virtually impossible to estimate. Luckily for us, getting an IP address is a lot easier than getting a driver's license. In fact, it happens automatically...assuming you can plug in to a router or modem or have access to a wireless network. And of course, from time to time, and for different reasons, it's important to know what your IP address is...and that's why people visit WhatIsMyIPAddress.com. The previous format of IP address was called IPv4 (although only network types and geeks knew that). Everyone else just called it an IP address. But then something totally unexpected happened. The world just ran out of IPv4 addresses. That's not an exaggeration, but it does need some clarification. There are no more "new" batches of IPv4 addresses available to the organizations that distribute them. In the 1980s, no one ever thought there'd be a time when the world would have a need for more than four million IP addresses. But that time has come and gone. Fortunately, there were some research types who anticipated a time when the Internet would indeed need more IP addresses. They based their thinking on the growth of Internet use and the development of the IP-connected devices mentioned earlier. IPv6 has been in development for nearly two decades. And now this next-generation IP addressing protocol is ready to replace IPv4 and assume its place as the backbone of Internet connectivity. IPv6 addresses are made up of 128 bits. And now we'll probably never run out of these new IP addresses. A number that some have referred to as 340 "undecillion"
You don't need to worry about IPv6. If you're just an ordinary computer user and Internet surfer, you'll likely never have to worry if you can connect to the Internet—the computer, modem and routers you'll have (or buy) will be configured for IPv6. And for the time being, most companies and organizations are coming up with ways to slowly and successfully transition to IPv6 addressing, but it's not going to happen overnight. WhatIsMyIPAddress.com can let you know if you're using IPv6! One day, who knows when, you will begin connecting to the Internet with an IPv6 address. Chances are you might even know about it, because perhaps by then your ISP will have notified you, saying that they have made the transition to IPv6. 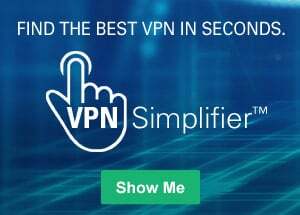 In any case, you can check for yourself anytime—even right now—by going to WhatIsMyIPAddress.com, the premier IP-lookup site that has been engineered to display both IPv4 and IPv6 addresses. And while you're there, you can read more articles on IPv6, IP addresses and staying safe online.